For those who are looking to become engaged, are celebrating their marriage anniversary, or are looking to purchase an expensive diamond ring, often look towards diamonds as their choice of a fine gemstone. This is because diamonds have long held a timeless, enduring, and stout message of commitment, union, and loyalty of a partner's love for their spouse. Due to the classic slogan "a diamond is forever", created by De Beers company in 1947, millions of individuals across the globe associate diamonds as the ultimate symbol of union and purity. In recent years, however, the rising trend of lab-grown diamonds has generated quite a lot of publicity due to their nature, pricing and benefits. In this article, we are going to look at what laboratory-grown diamonds are, how they are created, why they are becoming popular, and what the benefits are of both lab-grown and natural precious stones. What exactly is a laboratory-grown diamond? And how is it created? A lab-grown diamond, also known as a cultured, engineered or man-made diamond, is a stone that grown under controlled environment within a laboratory. The main difference between natural and synthetic diamonds is their different origin. The first ones are mined from the Earth. And the second ones are grown inside laboratories, using cutting-edge technology that replicates the natural diamond growing process that you would see out in nature. This process ensures that the man-made diamond results in the exact same physical and chemical properties as those grown beneath the Earth's surface. Sometimes lab-grown diamonds are referred to as synthetic diamonds. This is technically correct, and it becomes the main reason why people attribute lab-grown with fake. In order to understand how a lab-grown diamond is generated, we should know how a natural diamond occurs. A natural diamond is created when carbon dioxide is exposed to heat, which must be 2,200 degrees Fahrenheit or greater, and placed under extreme pressure. These diamonds are brought to the Earth's surface by the way of volcanic explosions. A lab-grown diamond can be created by one of two ways, either through a high pressure-high temperature process or a chemical vapor deposition. High Pressure-High Temperature (HPHT): in this process, the diamond begins as a small seed that gets placed into carbon. Then the seed is exposed to temperatures that are in excess of 1,500 degrees Celsius (2723 degrees Fahrenheit) and pressurized up to 1.5 million pounds per square inch using either a belt press, a cubic press, or a split-sphere press. During this process, the carbon melts and forms a diamond around the started seed which is then cooled to form the pure carbon diamond. Bar Press: this combines the use of inner and outer anvils to apply hydraulic pressure to the seed. It is the most effective tool used for any fine-quality diamonds. Belt Press: this is the founding technology behind lab-grown diamonds. It can produce several diamonds at once by cycling two large anvils that press together to create the required amount of pressure. It is commonly used in producing diamonds and diamond powder for industrial purposes but can produce fine-quality diamonds. Cubic Press: this uses six separate anvils to create the required amount of pressure for diamond crystal growth. It is often used to create diamond powder for industrial purposes. Chemical Vapor Deposition (CVD): with this process, a thin slice of a diamond seed, which often comes from the HPHT process noted above, is placed in a sealed chamber and heated to around 800 degrees Celsius or 1472 degrees Fahrenheit. The chamber is then filled with a carbon rich gas such as Methane, and the gas becomes ionized into plasma. The ionization process breaks down the molecular bonds within the gas and the pure carbon sticks to the diamond seed and crystallizes, building up the diamond atom by atom. When creating a lab-grown diamond by any of these processes, it can take anywhere from 10 to 12 weeks in total to create a batch of substantially sized diamonds. For a one carat diamond, it can take anywhere from 7 to 10 days, and for a three-carat stone, it can take about a month. Why is man-made diamond jewelry becoming popular nowadays? 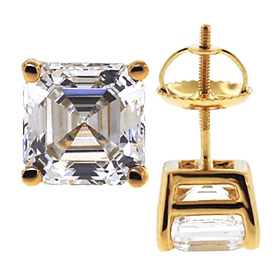 Although laboratory-grown jewelry is still considered a niche product on the market, one that is only beginning to be charted by large jewelry manufacturers, experts do believe that these man-made options will soon disrupt the mined-diamond industry. Currently, man-made diamonds only have an estimate market value of $150 million, and could grow to be approximately $1 billion by 2020. There are several reasons why lab-grown jewelry is becoming popular, with shifting consumer attitudes and cheaper prices being two of the main driving forces. According to CNBC, there is a major shift in consumer attitude away from natural diamonds and towards man-made diamonds, as millennials are choosing to approach both money and marriage differently than previous generations. First, fewer millennials are choosing to get married and if they do get married, it happens much later in their lives, at around 30-40 years. 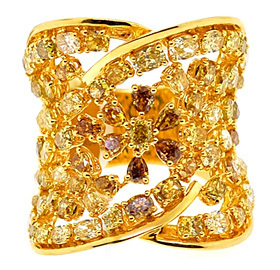 Second, that group of people is opting for more non-traditional rings such as encrusted with rubies, sapphires, emeralds as these appear more unique in design, and provide them with a way to show off their distinctive preferences. Finally, millennials are choosing to prioritize other things such as experiences and would rather put their budget towards the actual honeymoon or wedding rather than the ring. 1. Millennials want choice. When it comes to the jewelry counter, millennials are asking for a choice, fully aware of the bad reputation, high-human cost, and environmental damage that the mining of natural diamonds brings with it. The millennial generation is fixated on choosing products that are manufactured from ethical and responsible sources. 2. Millennials find the pricing appealing. Laboratory-grown diamonds have a strong appeal to younger generations for their appealing pricing as more and more consumers try to be financially responsible. For example, when a larger stone is available for less (due to being lab-grown), the person will most likely go for the man-made option if within the budget. This is because the touch, feel, and aesthetic look of the bigger gemstone presents a better purchase in terms of value. 3. Lab-grown diamonds look the same to the naked eye. When it comes to the aesthetic look of man-made diamonds, they have the same sparkle as well as chemical structure, making it near impossible to tell the difference. So, why not spend less and forego contributing to the destruction that natural diamond mining causes. 4. Laboratory diamonds undergo similar grading and certification process. Since the lab-grown process of diamonds mimics the process of natural diamonds, these undergo very similar certification and grading process. This makes it easier to purchase these types of jewelry because one doesn’t have to learn new terminology. On April 4th, 2019 one of the most trusted diamond certification companies, the Gemological Institute of America (GIA) has announced that they are going to provide the standard color, clarity and cut grading characteristics on the man-made diamond reports, but for reference purposes only. But GIA still will not include the scales it uses for natural diamonds to laboratory-grown stones. What companies are investing into lab-grown diamond jewelry? Although the uptake on man-made diamonds has been considerably slow within the market, both small producers and industry giants are coming around as the demand for man-made jewelry continues to rise. One of the major giants in the industry, De Beers, which revolutionized the diamond industry with its classic slogan "a diamond is forever" is targeting the lab-grown diamond market with its Lightbox-manufacture diamonds and fashion jewelry line. This lineup features an array of white, blue, and pink lab-grown diamonds and affordable necklace and earring sets. Swarovski, a luxury crystal maker, has also tried to get into the lab-grown jewelry market by approaching Penelope Cruz to wear a collection of lab-grown diamonds on the red carpet. Out of this partnership, came eco-friendly and affordable prices, while still shining a light on jewelry that is not created from child labor, environmental destruction, or conflict. Other companies that have also received funding include, WB Lab Grown Diamonds, a Washington based company that produces large high-quality laboratory diamonds for the jewelry market, the industrial market, and the scientific market. Their equity investment came from a private equity firm called Huron Capital, who noted that WD has a cutting-edge company with an exciting future. Scio Diamond, a lab-grown diamond manufacturer, was just acquired by Adamas One Corp, a Nevada-based jewelry company , and a few companies that sell lab-grown diamonds exclusively have cropped up including Ada Diamonds, Brilliant Earth, and Clean Origin. What are the benefits of lab-created diamond jewelry? 1. Traceable origins. For those who are diamond connoisseurs or for those who romanticize the origins of diamonds, may want to know their diamond's story. With natural diamonds, this is very difficult to do as naturally mined diamonds sometimes come from conflicted regions, and will have very vague acquisition timelines. But man-made diamonds will have a guaranteed and traceable history, timeline and origin. 2. Better quality. One of the most important things to look for in your jewelry, especially when it comes to engagement rings and eternity bands, is the quality. Generally, you are going to want a diamond that has an ideal or excellent rating across the color, clarity, carat, and cut. When it comes to natural diamonds, a lot of them have imperfections, just simply because they come from the Earth and so dirt can get ingrained in them and they can come with microscopic defects. With laboratory-grown diamonds, they are originally produced with much fewer, have fewer signs of strain within their crystal structures, and will always be clearer and brighter due to their controlled environments and market-oriented quality. 3. Affordable colored diamonds. If you are looking to add a little bit of color or a unique twist to your engagement ring purchase, getting a colored diamond may be an affordable option if you choose a lab-grown stone. Colored diamonds are very rare in nature but with lab-grown process, scientists can manipulate the diamond to be colored at a fraction of the cost of a mined diamond. 4. Environmentally friendly and sustainable. Unfortunately, when natural diamonds are extracting, holes must be dug into the Earth. This requires an immense amount of labor, fossil fuel usage and deforestation. Beyond this, these holes can present extensive damage to ecosystems within the area and nearby watersheds. Man-made diamonds are created in special facilities that use renewable power sources, plus they do not require holes to be dug into the Earth. 5. Way cheaper than natural diamonds. Just being straightforward, lab-created diamond of the highest quality will be a way cheaper than a natural stone of the same characteristics. You can save approximately 30-50% by choosing a lab-grown diamond, which means you will be able to purchase a higher-quality ring setting or even to go with a unique custom design. 6. They are guilt-free. Unfortunately, when it comes to the history behind how natural diamonds are mined, the news is filled with grim stories about child labor, illegal mining, informal mining, and non-environmentally-friendly mining practices such as the clearing of fertile land. If your partner is aware of these new stories, he (or she) may feel guilty about where their diamond has come from. Laboratory-grown diamonds do not come from tarnished backgrounds, are not created by overworked or underpaid individuals, and do not come from harsh diamond mines. 7. They are still real diamonds. One of the misconceptions about lab-grown diamonds is that because they do not come from the Earth, they are not real in their chemical makeup. This is untrue, however, as lab-grown diamonds have the same properties as mined diamonds and even some professionals cannot see the difference. Man-made diamonds should not be confused with simulated diamond or cubic zirconia jewelry, which do not have the same physical properties as real diamonds. What are the benefits of natural diamond jewelry? 1. Natural diamonds come with rich traditions. The use of diamond rings to symbolize commitment dates back well into ancient history, being used by Romans as betrothal rings. Although they did not always represent marriage, they did represent affection and friendship. In 1215, the Pop Innocent III, declared that there would be a waiting period between betrothal and marriage, rings were used to signify the commitment during the waiting period. Finally, in 1477, Archduke Maximilian of Austria proposed to Mary of Burgundy with a diamond engagement ring, and although engagement rings were quite common at the time, they were reserved for the upper class and royalty. Alongside natural diamond's lustrous brilliance and sense of permanence come with a rich tradition that many want to be a part of. 2. Natural diamonds are incredibly valuable. When it comes to the value of a natural diamond, the market will dictate whether it will be worth more or less over time. With inflation, supply and demand being considered, the larger a diamond is and the rarer it is will result in being a good investment for the buyer. This is especially true if an individual has a diamond with high clarity, precise color and ideal cut, as it will have an incredibly high market value. More than that, natural diamonds of fancy colors such as pink and blue are considered as top-tier in appreciation value. 3. The uniqueness of natural diamonds. When it comes to natural diamonds, they are the hardest known substances known to man and are preferred over treated diamonds, lab-grown diamonds, and enhanced diamonds due to their original non-modified characteristics and rarity. 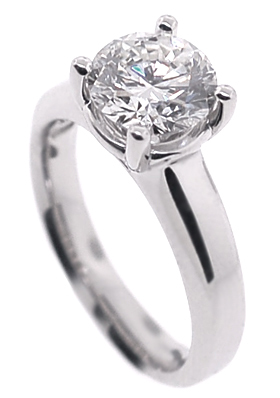 A diamond's quality is determined by its clarity, color, carat weight and cut. 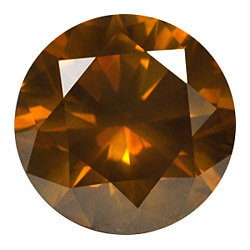 Colorless diamonds are very scarce and are rated higher on the color grading scale than a yellow or brown-tinted diamond. 4. The aesthetic factor of natural diamonds. One of the major benefits of having a natural diamond, whether it is within a ring, on a necklace, or in a bracelet, is the fact that you are wearing a piece of Mother Nature. Natural diamonds are 100% organic, 100% from the very Earth you walk on, and are absolutely stunning to look at as such. For individuals who have higher-graded natural diamonds in their possession, these will have no inclusions or blemishes and will be top in color and cut making them visually perfect unlike any other gemstone available. 5. The demand behind natural diamonds. Natural diamonds are very scarce since they take millions of years to form, thus causing them to become more of a luxurious item as opposed to a fashion statement due to their increasing rarity and cost. In the fight for dominance in the diamond market, natural diamonds have remained stalwart in their position, offering consumers an opportunity to own a high-quality, luxurious, jewelry-item that is valuable in monetary gain, provides an investment prospect, and an age-old tradition steeped in commitment, union, and loyalty. While lab-grown diamonds are an upward trend in the market, their appearance to consumers remains socially stigmatized by the fact that they non-diverse in structure. Absolutely, natural diamonds are always going to have that luxurious and high-quality notion behind them. They represent a tradition that is centuries old, signify commitment and union, and are always going to be an investment option for those who want something truly unique. Unlike man-made diamonds, natural diamonds are completely unique from one another - no two are the same which is what adds to their rarity. Furthermore, despite the fact that laboratory-grown diamonds seem to be all the rage, due to their price point and ethical origins, they are not unique from one another and are therefore not as valuable - natural diamonds will always win out on this point.